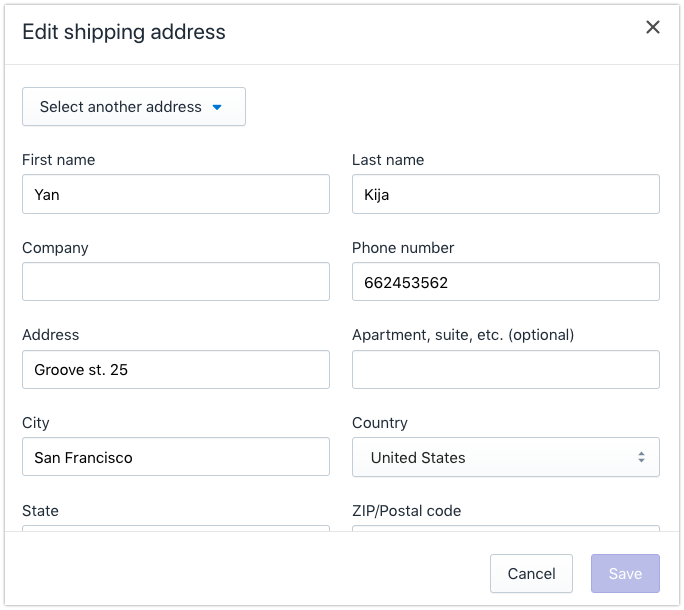 If after receiving an order in your Shopify store the customer contacts you because they need to ship the item to a different address, follow the steps below. 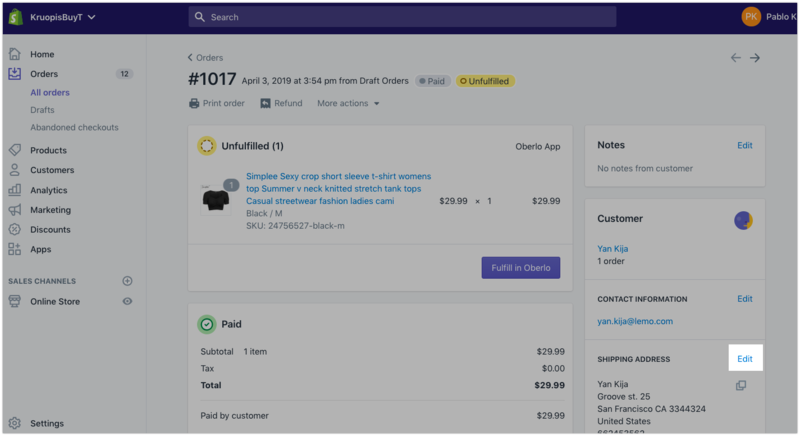 Go to the Shopify admin > Orders page, find the order, and click on the "Edit" button next to the "Shipping Address" section. The new address will shortly be synced with Oberlo. You can check this by clicking on the customer's name next to the order. Once you see the new address, you can click on the orange "Order Product" button to start processing the order. If your customer asks to change the shipping address once the order has already been purchased from the supplier, you should immediately contact the supplier by direct message and ask to change the address of the shipment. If the order has not been dispatched, the supplier should agree to change the address.